Registration for the third of five regional retreats for Grace Brethren ministry leaders is now open. The East Focus Retreat is October 19-21 in Ocean City, Md. It will be held at the Quality Inn Boardwalk Hotel, 1601 Atlantic Avenue, Ocean City, MD 21842. This is a change in location from previous years. God has placed others in your life to help you Leverage your uniqueness. Don’t settle for what you alone can make of yourself. God has others around you to make your kingdom impact all He wants it to be. You can’t move and elevate God’s vision alone. You will gain increased force when you leverage what others can bring to your vision. This year’s focus retreats are led by Clancy Cruise. Clancy has been part of the Fellowship of Grace Brethren Churches family for more than 30 years. He is the lead pastor at the Marysville Grace, a Grace Brethren church in Marysville, Ohio, a congregation he helped plan in 2002 in partnership with Grace Church, Powell, Ohio. He and his wife, Sandy, and their four children moved to Marysville and have seen Christ build His church. After Vision Conference 2017, Clancy begins a three year term as executive director of the Fellowship of Grace Brethren Churches. 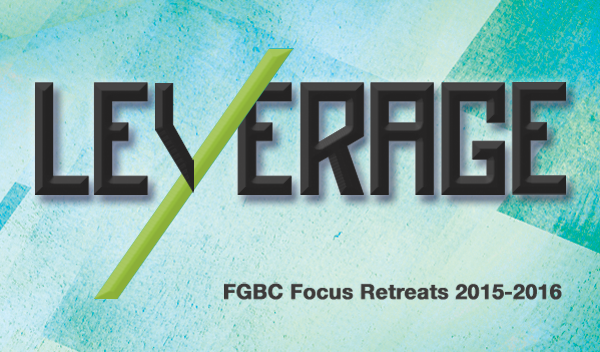 The regional retreats provide opportunities for FGBC leaders to refresh, reflect, and retool. Each pastor and ministry leader is encouraged to attend at least one, whether it is in your area or in another region. Other retreats will be: Northwest, September 21-23, 2015; Central, October 05-7, 2015; Southwest, January 25-27, 2016; and South, March 14-16, 2016.